Friendship has always been a staple of Animal Crossing games, and Animal Crossing: Pocket Camp makes no exceptions. Check out this guide if you're interested in how to maximize time with your furry friends. 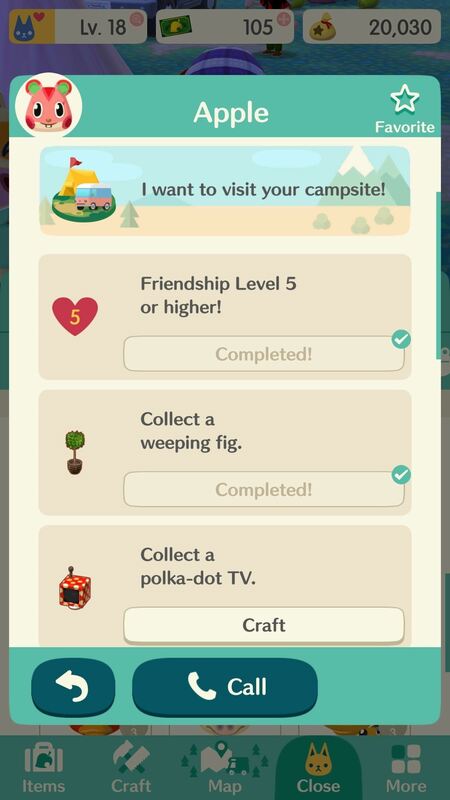 While building friendships has always been at the core of Animal Crossing games, Pocket Camp is the first one to add a numerical value to it. As you progress through the game by filling requests for your friends, you'll increase your Friendship Level with them, as well. Increasing your Friendship Level with animals is a key component of Animal Crossing: Pocket Camp, and mastering friendships will make your experience with the game even more fun and rewarding. In order to increase your Friendship Level with animals in the game, you must fulfill their requests. These requests are for the types of items that we showed you how to collect in our previous Animal Crossing: Pocket Camp guide. 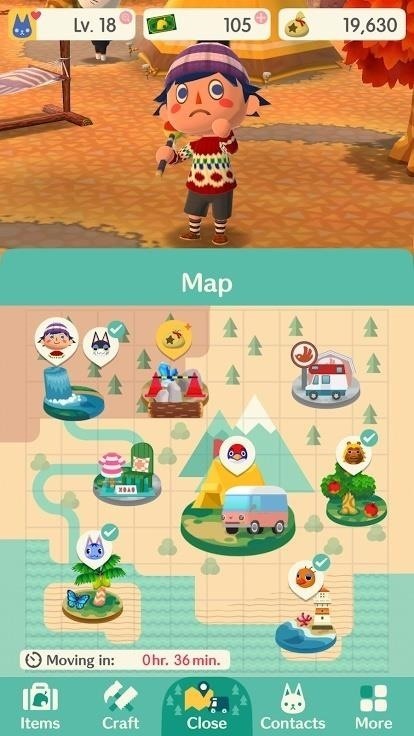 By accessing the map, you'll be able to see which animals are in need of items. The ones with requests that you can fill will have a check over their head. To fill their requests, go to the area they're located in (by using the map), approach them, and tap them to give them the goods. 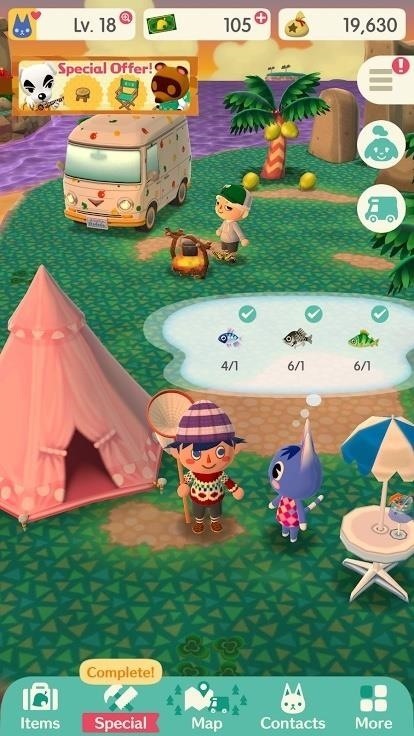 You can fill up to three requests at a time for each animal. 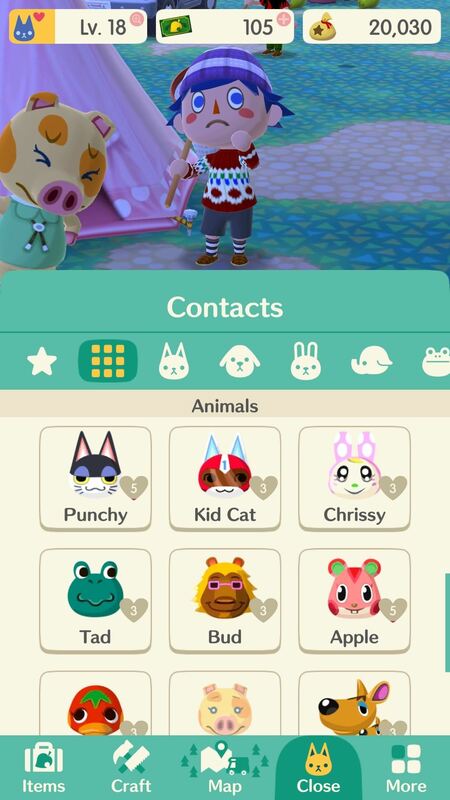 If you're unable to fill a request for an animal, they won't have a checkmark above their head on the map. However, if you go to their area, you'll be able to see what exactly they're in need of for you to fill their request. 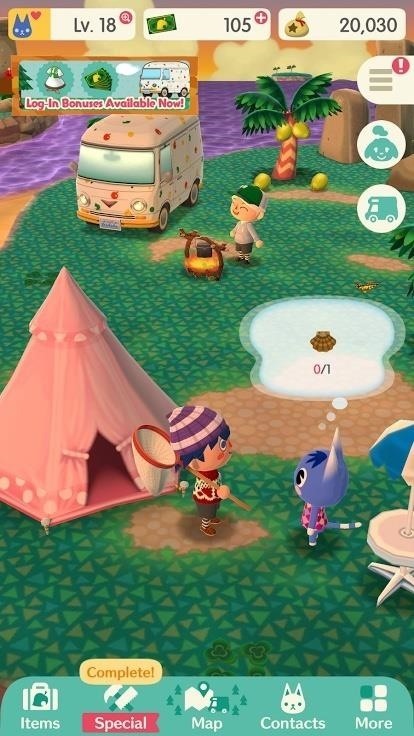 To get an animal to come to your camp, you must have a certain Friendship Level with them, which you attain by filling requests and talking to them periodically. When you fulfill a request, your animal friend will shower you with crafting materials like wood, cotton, and steel. You'll also always get Bells, which you need for crafting, but you can also use Bells for a multitude of other purposes. Bells essentially grow on trees, and you'll rarely run low on them. 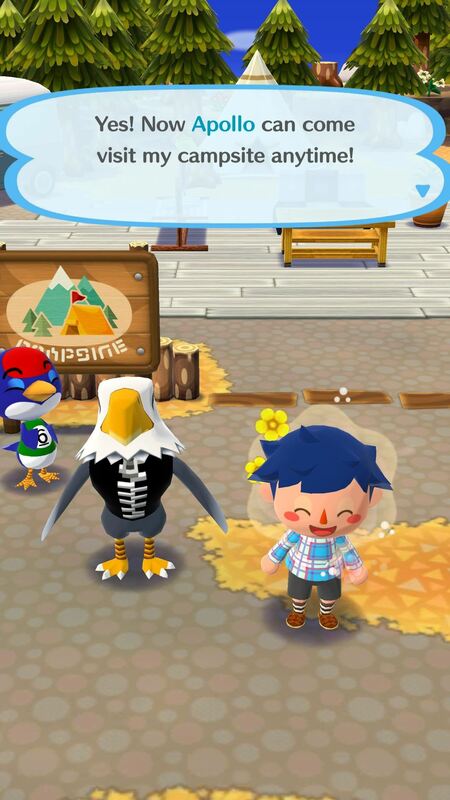 Animals give you Bells for every little thing, so it's a unifying item among all the other unique ones that Animal Crossing: Pocket Camp has to offer. Leaf Tickets play the part of the primary currency, and Bells take a back seat to them, filling in the gaps in crafting tasks. In order to get one of your friends to come stay at your campsite, you'll need to fill their laundry list of items to craft. 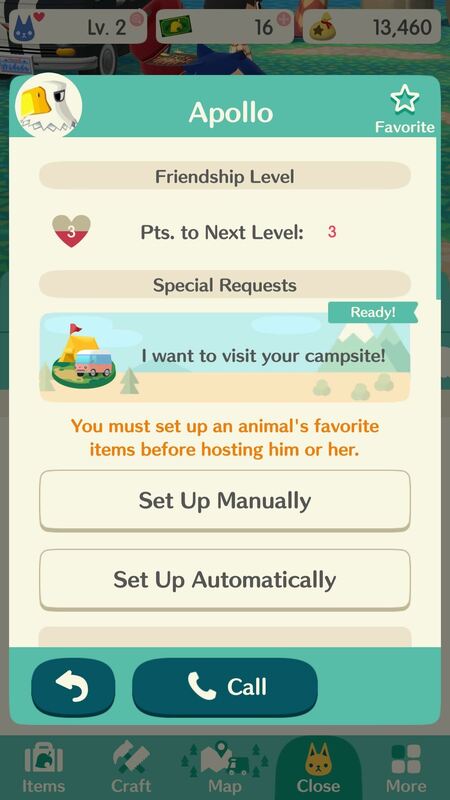 If you go to "Contacts" and tap on the friend you want to invite to your campsite, you can see the parameters that must be met in order for you to have your friends come over. Any animal that you've introduced yourself to at least once (and thus achieved a Friendship Level of one) will appear on the list of Contacts. There will be items you'll need to "collect." If you tap on "Craft," you'll be brought to that item in the Crafting menu. 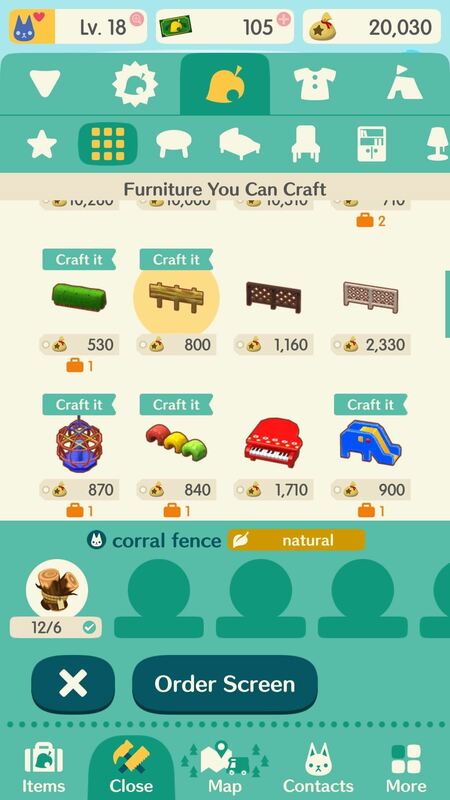 The number under the picture of the item represents how many Bells the item costs to craft. 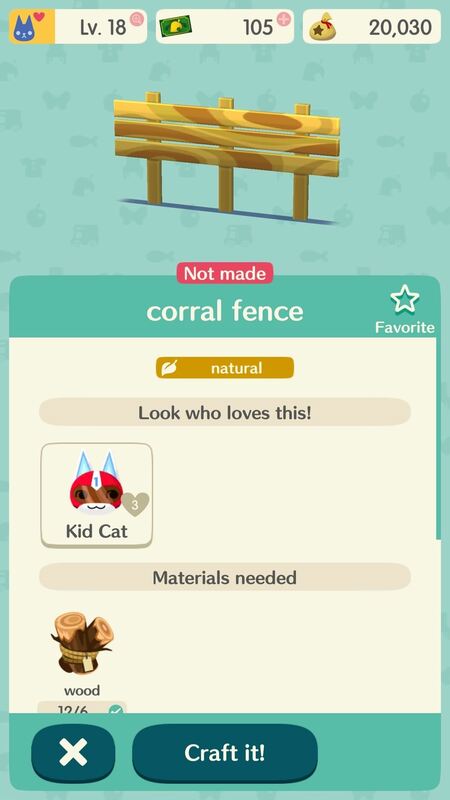 You also need materials to craft an item — for example, the "corral fence" requires six wood in addition to 800 Bells. I have twelve wood in my inventory currently, so I have more than enough to make the fence. If you have the necessary materials, go to the "Order Screen" and hit "Craft it!" For more help with crafting, make sure to check out our full guide on the subject. After you've earned their trust with little trinkets and crafted furniture to their specifications, it's time to invite over some of your favorite animals. To do this, go back to "Contacts" and tap on the friend you want to invite to your campsite. First, you need to set up their furniture before their arrival. Luckily, you can have the game set it up automatically by hitting "Set Up Automatically." Then, you'll go right to your campsite with your new friend. Having an animal friend has a ton of benefits, most notably all the free loot they give you — just for letting them stay with you. Expect your guests to shower you with gifts almost every time you stop by your campsite, so check in with your pals frequently.